The St. Louis Cardinals’ playoff hopes improved with a sweep in Cincinnati, but fell again with two losses in Pittsburgh over the weekend. Dexter Fowler has been swinging a hot bat. 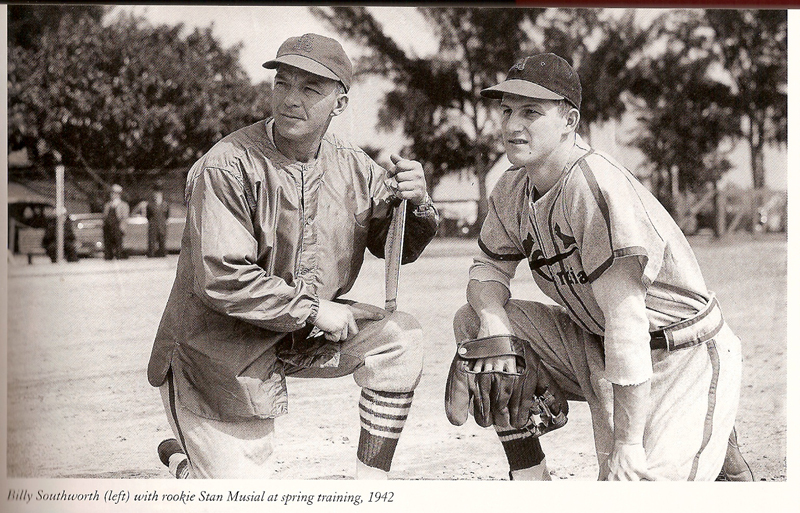 In our history feature, the Cardinals greatness in the 1940s is remembered. As the 2017 regular season entered its final two weeks, the St. Louis Cardinals played their last series of the regular season against the Reds in Cincinnati. In Game 1, the Cardinals squeaked by the Reds in extra innings. The Cardinals fell behind 4-0, but in the fourth inning put five runs on the board to take the lead. It started with an RBI single by Jose Martinez, then was followed by a three run home run off the bat of Yadier Molina. The fourth inning scoring was capped by Paul DeJong’s solo home run. The Reds retook the lead in the sixth, but Dexter Fowler tied it up in the eighth with a solo home run. The game went into the 10th, when Fowler’s RBI double plated one, and DeJong drove in another run on a single. Fowler was 3-for-4 with three runs scored and two RBI. DeJong was 2-for-5. Starter Jack Flaherty only lasted two innings. Flaherty gave up two runs on three hits while fanning two and walking one. John Gant allowed two more runs in an inning of relief. Brett Cecil tossed the next three innings, surrendering two additional runs. John Brebbia started the seventh and pitched to two batters, walking one and hitting a second with a pitch. Ryan Sherriff took over with two runners on and no outs. Sherriff got the next three hitters out to finish the inning. Sherriff returned for the eighth and got one out, but left two men on. Matt Bowman secured the final two outs of the inning. 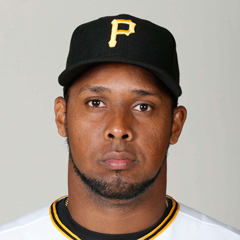 Juan Nicasio pitched a scoreless ninth. Nicasio returned for the 10th and gave up a leadoff solo home run. The right hander got the next three hitters out to earn the win. Kolten Wong stole his eighth base of the season. In Game 2 of the set, the Cardinals had a much easier win. The offense took a 7-0 lead into the bottom of the fifth inning. The scoring began with a Matt Carpenter solo home run in the first inning. In the third, Tommy Pham added an RBI double. 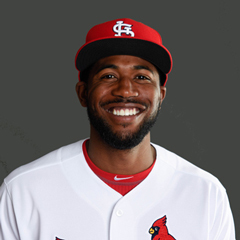 Dexter Fowler followed with a two run home run, and Paul DeJong contributed a solo shot to put St. Louis up 5-0. In the fifth, Yadier Molina added to the lead with a two run double. The Redbirds added to their lead in on an RBI single by Pham. In the ninth, Greg Garcia plated the final Cardinals run on a single. Pham was 3-for-5 with two runs scored. Starter Luke Weaver won his seventh game of the season. Weaver went five innings, giving up two runs on five hits. The right hander fanned seven and walked none. Zach Duke pitched a scoreless sixth. Seung-Hwan Oh, Sandy Alcantara, and Sam Tuivailala combined for the final three scoreless innings of relief. The Cardinals completed the sweep with an 8-5 victory in Cincinnati. 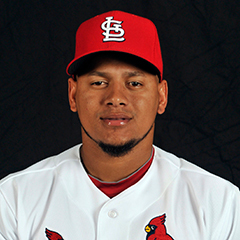 Starter Carlos Martinez pitched 6 1/3 innings, giving up four runs on nine hits. The right hander struck out six, walked one, and surrendered two home runs. Tyler Lyons followed with 1 2/3 scoreless innings. Zach Duke pitched the ninth and allowed a run on two hits. Martinez earned his 12th win. The Redbirds got on the board in the first inning on Jose Martinez’ RBI single. In the third, Dexter Fowler plated two on a double, and Yadier Molina’s sac fly tacked on an additional third inning score. Molina doubled in Martinez in the seventh and Kolten Wong’s ground out plated Molina from third. In the ninth, Greg Garcia’s double drove in one run, and Alex Mejia followed with a single to plate Garcia. Fowler was 3-for-5 with two runs scored. Martinez was 2-for-5, Wong and Tommy Pham were 2-for-4, and Matt Carpenter was 2-for-3. On the base paths, Pham stole his 22nd base of the season and Fowler swiped his sixth. In the field, Paul DeJong made a throwing error. In the first game of the weekend series in Pittsburgh, the Cardinals rallied in the ninth to edge the Pirates 4-3. The Redbirds took the early 2-0 lead, scoring in the first and second innings. An RBI single by Dexter Fowler put the first run on the board. A bunt force out by Michael Wacha brought Paul DeJong home for run number two. The Pirates tied it up and then took the lead, and the Cardinals failed to add on until the ninth inning. In the ninth, Greg Garcia drove in a run on a single and Fowler grounded into a force attempt; a fielding error on the throw to first allowed Randal Grichuk to score the winning run. Fowler and Stephen Piscotty were each 2-for-4. Starter Michael Wacha pitched five innings, giving up two runs on three hits. The right hander struck out four and walked one. John Brebbia tossed a scoreless sixth. Ryan Sherriff started the seventh and struck out the first batter. Sherriff gave up a double and a single and was removed with two men on base. With Matt Bowman pitching, a throwing error by DeJong on a routine ground ball allowed a run to score. That run was charged to Sherriff. Bowman then got the final two outs of the inning. Juan Nicasio handled the last two scoreless innings, earning the win, his fifth. On the base paths, Jose Martinez stole his fourth base of the season, Tommy Pham stole his 23rd base, and Fowler stole his seventh. In the field, DeJong made a throwing error for the second consecutive night. Game 2 of the series was one of the worst starts of Lance Lynn’s career. Lynn could not complete the first inning, giving up eight runs before he was finally replaced by Josh Lucas. This big inning followed a two run top of the first by the Cardinals offense. That eight run inning put the Redbirds in a huge hole, from which they attempted to climb, but sadly failed. Lynn left with two outs on the board, and Lucas allowed an inherited Lynn runner to score on a triple before getting the final out of the inning. Adam Wainwright, now in the bullpen, followed with two innings of relief, surrendering one run on three hits. Sam Tuivailala pitched the next two innings, and allowed an additional run to score. Sandy Alcantara and Brett Cecil each tossed a scoreless inning. Seung-Hwan Oh pitched the final inning, relinquishing another run. Lynn took the loss, his eighth. The Redbirds offense put six runs on the board. The first two came in the first on Tommy Pham’s home run. Pham drove in another run in the third on a double. In the sixth, Randal Grichuk plated two on a single, and Harrison Bader singled for another run. Pham was 2-for-4 with three RBI. Matt Carpenter was 2-for-3. The Cardinals dropped the rubber game of the series, putting their postseason hopes in jeopardy. The Redbird offense was anemic, putting only one run on the board, and managing only four hits in the game. Eight runners were left on base, and the offense was 0-for-6 with runners in scoring position. The lone run came on a third inning solo home run by Matt Carpenter. No Cardinal had multiple hits in the game. Starter John Gant lasted three innings and gave up one run on three hits. The right hander walked two and struck out none. Matt Bowman pitched a scoreless fourth. Seung-Hwan Oh surrendered two runs in the fifth and took the loss. Brett Cecil relinquished one run in the sixth, while John Brebbia and Tyler Lyons pitched one scoreless inning each. Jedd Gyroko made a fielding error. Gant picked a runner off first base. The Cardinals ended the week 4-2, having swept the Reds in three games, but losing 2 of 3 to the Pirates. The two losses to the Pirates represent a major setback to the Redbirds playoff hopes. The Cardinals play four with the Cubs, with the Cardinals elimination number at two for the Division. This means Chicago’s clinching celebration will occur at Busch unless St. Louis sweeps. The elimination number for the wild card stands at 5. The Redbirds end the season with three against the Brewers, who currently are a half game ahead of the Cardinals in both the Division and the WC standings. The losses to the Pirates were caused by a terrible start from Lance Lynn in the second game, and the offense taking a nap in the third game. Some bullpen issues, as well as defense and baserunning mistakes also played a part. The Cardinals chances at the postseason have dwindled, and winning out may be the only hope for the team. All of the remaining games are at home. Dexter Fowler is batting .423 and has an OPS of 1.385. He has 3 HR, 3 doubles, and 11 RBI. Matt Carpenter is batting .389 and has an OPS of 1.167. He has 1 HR, 2 doubles, and 1 RBI. Tommy Pham is batting .444 and has an OPS of 1.149. He has 1 HR, 3 doubles, and 5 RBI. Greg Garcia is batting .600 and has an OPS of 1.514 in 7 plate appearances. He has 1 double, and 2 RBI. Luke Weaver has an ERA of 3.60 and a WHIP of 1.00. Michael Wacha has an ERA of 3.60 and a WHIP of 0.80. Matt Bowman has an ERA of 0.00 and a WHIP of 1.00. Sandy Alcantara has an ERA of 0.00 and a WHIP of 1.00. Juan Nicasio has an ERA of 2.08 and a WHIP of 0.69. Tyler Lyons has an ERA of 3.38 and a WHIP of 1.13. Sam Tuivailala has an ERA of 3.00 and a WHIP of 1.00. Jedd Gyorko is batting .182 with an OPS of .455 in 11 plate appearances. Luke Voit is batting .000 with an OPS of .000 in 3 plate appearances. Kolten Wong is batting .200 with an OPS of .583. Alex Mejia is batting .200 with an OPS of .533 in 6 plate appearances. Lance Lynn has an ERA of 21.21 and a WHIP of 3.64. Jack Flaherty has an ERA of 9.00 and a WHIP of 2.00. Carlos Martinez has an ERA of 5.68 and a WHIP of 1.58. John Gant has an ERA of 18.00 and a WHIP of 3.00. Ryan Sherriff has an ERA of 5.40 and a WHIP of 1.80. The leadoff hitter has been Matt Carpenter for five games, and Kolten Wong for one game. The number 3 hitter has been Dexter Fowler for five games, and Paul DeJong for one game. The number 4 hitter has been Jose Martinez for four games, DeJong for one game, and Jedd Gyorko for one game. The number 6 hitter has been DeJong for four games, Molina for one game, and Wong for one game. The number 7 hitter has been Wong for four games, and Gyorko for two games. The number 8 hitter has been Stephen Piscotty for four games, and Randal Grichuk for two games. 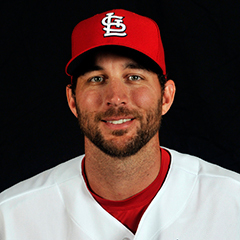 9/19 The Cardinals activated RHP Adam Wainwright from the 10 day disabled list. With diminished velocity, he is pitching in relief. 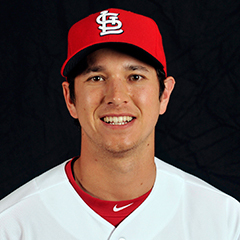 9/20 The Cardinals recalled RHP Josh Lucas from the Memphis Redbirds. 9/20 The Cardinals recalled SS Aledmys Diaz from the Memphis Redbirds. 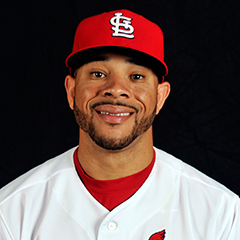 9/21 The Cardinals recalled 2B Breyvic Valera from the Memphis Redbirds. 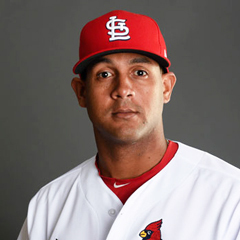 OF Jose Martinez suffered a left thumb sprain in the Sept 22 game against the Pirates. He has not yet returned to the starting lineup. An MRI and X-rays revealed no structural damage. Martinez is listed as day to day. 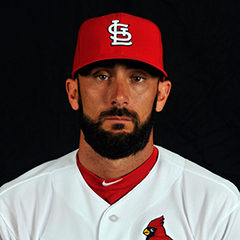 1B Matt Carpenter has been playing through right shoulder tendinitis. 2B Kolten Wong returned after missing two games last week with back soreness. The regular season is winding down as the Cardinals have two series left. On Monday, the Cardinals return home to Busch Stadium to begin a crucial four game series with the Cubs. Luke Weaver will get the start on Monday. Carlos Martinez takes the mound on Tuesday, followed by Michael Wacha on Wednesday and John Gant on Thursday. The homestand continues with a weekend series with the Milwaukee Brewers to end the regular season schedule. Should the Cardinals make the postseason, the NL Wild Card game will be played on Wednesday, October 4. The first games of the NLDS begin on Friday, October 6. Though St. Louis still has hopes for the postseason, slim though they may be, one cannot look back on the last 15 years of Cardinals baseball and not deem it a success. Two World Series championships, four NL Pennants, nine Division titles, and two 100 win seasons are in the books for the Cardinals since 2000. The Cardinals have been one of the most successful franchises in MLB history. Other periods have come close to matching the 2000s. In the 1960s, the Cardinals won two World Series and played in three. I have already talked about the teams of the 1960s in depth in previous articles. One decade of Cardinal success I have not covered much is the 1940s. I will do so in this history segment. The Cardinals franchise won three World Series Championships in the 1940s, in 1942, 1944, and 1946. The Cardinals defeated the New York Yankees in 1942 in five games. In 1944, the Cardinals beat the crosstown St. Louis Browns, 4-2. Finally, in 1946, the Cardinals overcame the Boston Red Sox 4-3. In addition to the three World Series titles, the Cardinals won the NL pennant in 1943, but lost to the Yankees in the World Series, 4-1. The 1940s Cardinals not only bested the 2000s Cardinals in World Series titles, they also won 100+ games in each of the 1942, 1943, and 1944 seasons. In fact, a series here at The Cardinal Nation named the 1942 and 1944 teams, managed by Hall of Famer Billy Southworth, the Cardinals’ two-best teams of all time. The 1940s included many of the best years of Stan Musial’s career. Musial won the NL MVP in 1943, 1946, and 1948. He was the NL batting champion in those same years. He was also the NL RBI leader in 1948. The 1940s also featured some good pitching for the Cardinals. Mort Cooper, Max Lanier, Howie Pollett, and Harry Brecheen were NL the ERA champion in 1942, 1943, 1946, and 1948 respectively. Particularly notable about this era of Cardinal baseball is that these teams did all this while World War II was raging overseas. Several Cardinal players served, and missed time because of it, most notably Musial, who spent the entire 1945 season in the Navy. Also serving were Enos Slaughter, Red Schoendienst, and Max Lanier, among others. The Cardinals of the 1940s were exceptional both on and off the field.